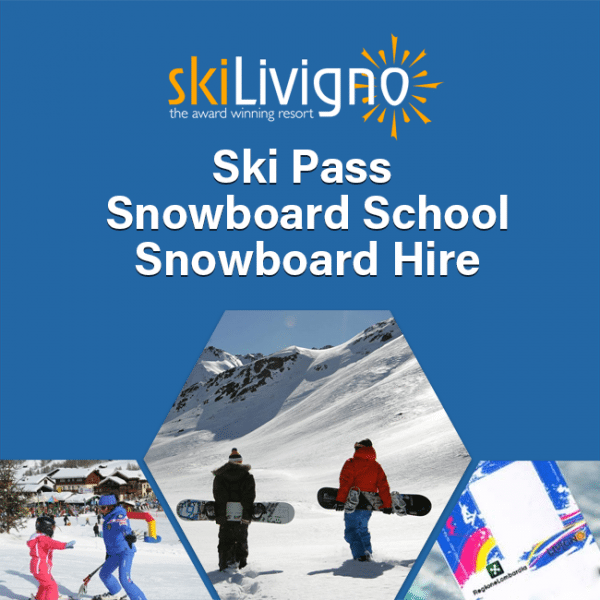 Save up to €30 per person when you buy one of the Ski-Livigno.com packages. 6 day ski-pass with unlimited access to all ski slopes, lifts and gondolas in Livigno*. Snowboard hire for 6 days of basic snowboard hire with free fitting and advice (boots not included). Two locations to pickup from. Please select the date range you wish to use this Ski-Livigno package. You are able to redeem at any point within the dates selected.